We are in the process of designing a new presentation folder and would like to open it up for local businesses to advertise in. We would be very keen for you to support us by placing an advert or message of support in our new presentation folders. 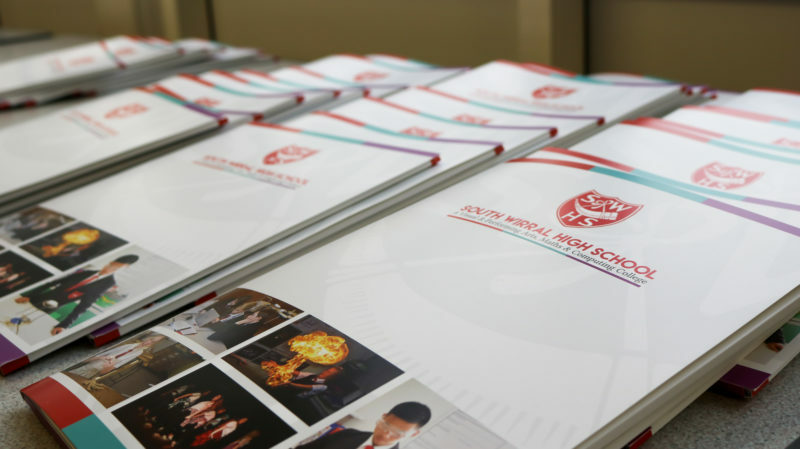 The folders will be distributed to parents of the school, governors, teachers, visitors and feeder schools at various events such as parents evenings and open days throughout the year over a two year period. Each parent will receive the folder along with the student reports throughout the year. Any additional funds we raise from this project will be used to enhance our extra-curricular offer to our students and the local community. E.g. Sporting facilities and performance equipment. We would be delighted if you could support this venture so that we can promote the school in the most cost-effective way, thus maximising use of our budget on the students’ learning. You would be promoting your business and supporting your local school by taking part. Advert in our School Newsletter for the 2 years. Advert on a page on our website showing local companies who have supported us. We also have other sponsorship options available such as Sports kits etc. Please get in touch if you want to discuss these further or any other ways we can work together. If you would like to take part please email us at hello@southwirral.wirral.sch.uk or call us on 0151 327 3213 and ask for Tom Moseley or Andrew Stewart. Please note all adverts to be displayed in the presentation folder are at the discretion of the school.